Highly Commended in the Psychiatry category at the 2010 BMA Medical Book Awards! 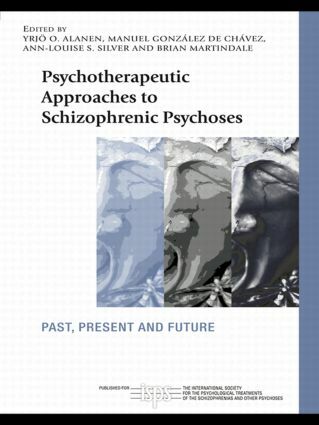 Psychotherapeutic Approaches to Schizophrenic Psychoses brings together professionals from around the world to provide an extensive overview of the treatment of schizophrenia and psychosis. Divided into three parts – past, present and future – the book begins by examining the history of the treatment of schizophrenia and psychosis, with reference to Freud, Jung, Harry Stack Sullivan and Adolf Meyer, amongst others. Part two then takes a geographical look at treatment and its evolution in different parts of the world including the UK, USA, Northern Europe and Eastern Asia. Finally, part three covers the range of interventions, from pharmacological treatments to psychoanalytic psychotherapy to CBT, with the aim of helping to shape the future integration of treatment. With contributions from leading figures in the field, this book will provide a varied examination of treatment, and spark much-needed debate about its future. As such it will be essential reading for all mental health professionals, in particular those involved in psychiatry, psychology and psychotherapy. Can we approach schizophrenic patients from a psychological basis? Eastern Europe: did the Iron Curtain in¯uence the use of psychotherapy in treatment of people diagnosed with a schizophrenic disorder?